Jeff Hardy made his return to TNA IMPACT the same day he was sentenced to 10 days in jail and 30 months probation in his 2 year long arrest for drug possession. Technically, Jeff made his return a week before the sentencing since the episode was taped as part of a double taping in Huntsville, Alabama. I think it was very optimistic move by TNA management to bring Jeff back prior to finding out what would be his eventual penalty. I also think it was a decision which reinforces my belief TNA management puts profits over the well being of their employees. After reading Hardy was making his return, I was secretly hoping the judge in the case would be a wrestling fan who was tired of TNA’s ineptitude and would sentence Jeff to at least a year in jail just to make TNA look foolish for bringing him back on the day of the sentencing. Since Jeff doesn’t have a match announced for the No Surrender pay per view, why didn’t TNA wait until after the PPV to bring Hardy back? Other than bringing Jeff back when they did allowed him to make a return in front of an actual paying crowd instead of the mix of tourist and TNA loyalists at the Impact Zone. Since Jeff’s embarrassing performance at Victory Road, there have been no reports of Jeff admitting to having any type of substance abuse problem, or taking any action showing regret and remorse for the situation. Why does TNA feel they needed to bring Jeff back? Given the firing of Matt Hardy a week prior to Jeff’s return, the decision to have Jeff return makes very little sense. I’m trying to think of anything Jeff has to uniquely offer the TNA product. Ratings will not dramatically increase with Jeff’s return. There aren’t any dream matches I can think of that are new. It would be foolish to put Jeff in any program for a title given his track record. So what benefit does TNA see in having Jeff back on the shows? It would be different if Jeff had publicly apologized to the fans and to the TNA staff. If he had asked for a chance to right the wrongs and said he wanted to show the fans the Jeff Hardy they enjoyed during the Attitude Era, maybe I could understand bringing him back. But, as I’ve said, there has been no remorse by Jeff. At least none that I’ve seen been made public. 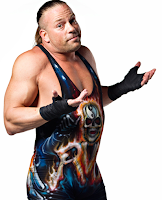 With Kurt Angle’s recent DUI’s, the hiring of Rob Van Dam and Brian Kendrick who have both made public statements about their marijuana usage, and now the continued employment of Jeff Hardy, TNA, I feel, is setting themselves up for a potential media backlash. What happens when one of their wrestlers either has a serious or fatal accident? The cynic in me says if that that happens, the media will mention them as former WWE wrestlers instead of current TNA wrestlers and the blame will be deflected away from TNA. Even if that is the case, TNA needs to wake up and implement a drug-testing program similar to WWE’s and make it publicly known. If they want to be the number two promotion, they need to start acting like it instead of being a glorified independent promotion. I hope Jeff Hardy recognizes the severity of his arrest and decides to clean up his personal life. Hopefully being back on the road with TNA won’t bring a return of his personal demons. I guess only time will tell. What are your thoughts? 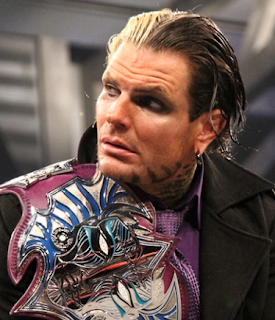 Should TNA have brought Jeff Hardy back or should they have moved on and pushed new stars? Share your thoughts on our Facebook or Twitter pages.